The summer CMDC undergraduate course “DTC 338: Digital Publishing” at Washington State University focuses on the theories, production workflows, design strategies and distribution practices of multi-format digital publishing. The final project of the class is a collaborative publication about some aspect of digital publishing. This year (summer 2015), students wrote, built and published a multi-format book about design strategies, book structure and annotation tools in the creation of digital books. The publication is a material demonstration and artful distillation of the ideas explored in discussions, blog posts, readings and creative projects. 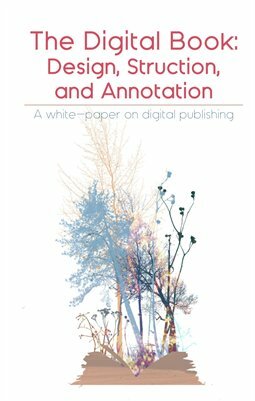 The thinking behind the text is future-oriented and visionary, but, at the same time, it is a practical and useful guide for the emerging field of digital publishing.